If you have hesitated to delve into knitting a legendary Estonian Haapsalu shawl, here is a valuable booklet intended to guide you through the entire process. These step-by-step instructions were assembled by master knitter Siiri Reimann (author of the beautiful Triangular Knitted Shawls book and folio). 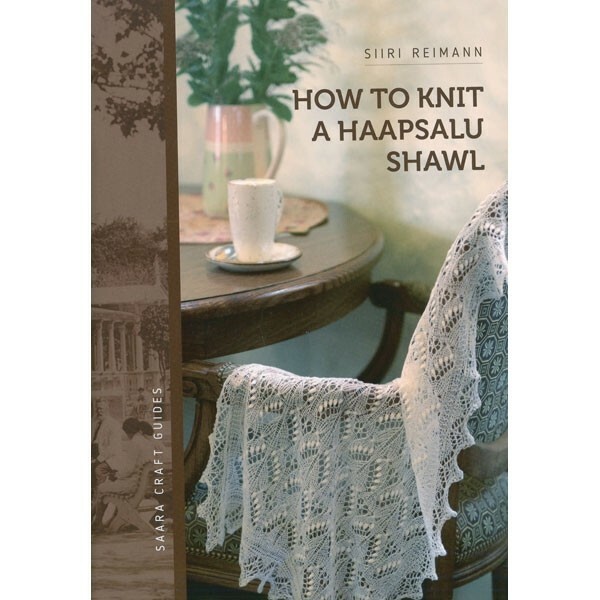 This knitting-bag-sized booklet is both a class and a workshop to enable you to knit a classic rectangular Haapsalu shawl; however, this booklet is intended to accompany any of the Haapsalu Shawl books we carry or those you already own. Softcover.